Last edited by greeny on Sun Apr 23, 2017 8:43 pm, edited 2 times in total. Re: How dead am I! you are a brave man, my condolences to your family. 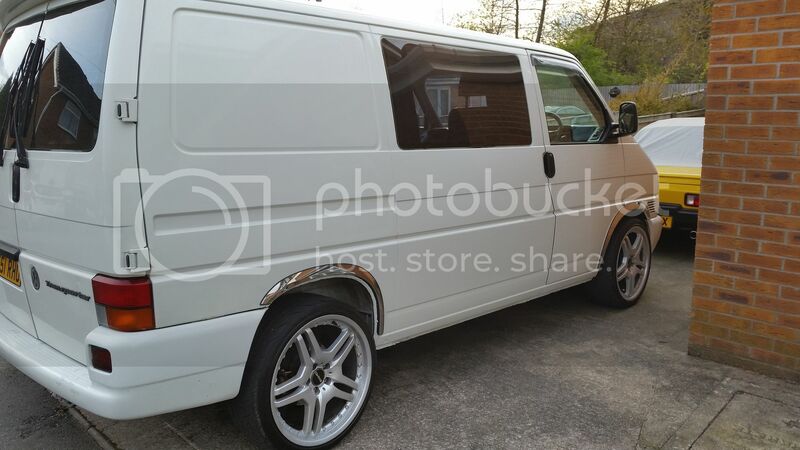 Joined the white van man brigade ? or just taking up camping - it is very camp. Well is am still alive, however she is more pissed than I have seen her for a loooooooonnnnnnnnggggg time! peter freeman wrote: Joined the white van man brigade ? or just taking up camping - it is very camp. It's a "day van" so will mainly be used for traveling to Anglesey when needed. With some camping possibly around and about. And it's better on fuel than the Jag so will be used for pottering. I have been told that these engines it being a 1.9 td love to be fun on veg oil so I am going to,look into that. I have been told that you can just pour it into the tank and go! I think you have to add something to the veg oil but memory escapes me what it is at the moment. Lozzzzzz runs his fleet on bio he makes himself..
yowzah that's bright! not so much the A team more in the realm of " B " ark .........was it a mobile hairdresser's or a pimp's office? I used to know a few people who ran diesels on a couple of alternatives to diesel. The general opinion was mix it with diesel and run a full tank of just diesel about every 4th tank full. Probably save some money if you have a cheap source of used oil.